The American scale of justice is tilted not only against black Americans but also against Asian Americans. The conviction of NYPD officer Peter Liang once again demonstrates that a white officer could shoot a black man in the back and not pay a price, but if an Asian officer’s ricochet bullet accidentally kills a black bystander, he faces a potential prison stay of 15 years. Peter Liang arriving at Brooklyn Supreme Court on day of conviction. 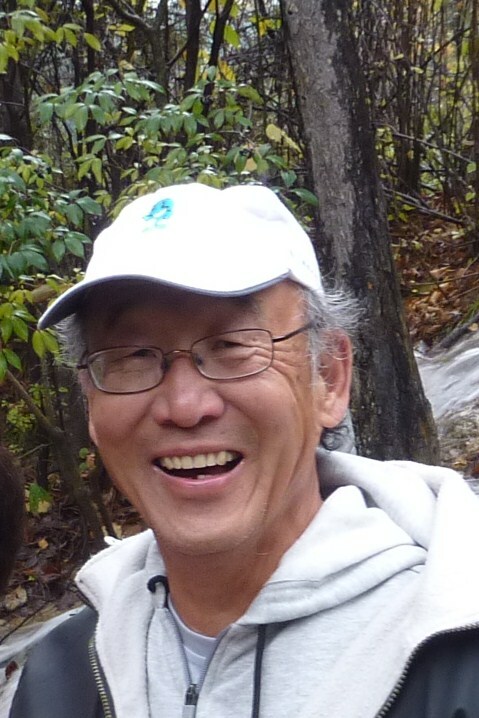 Unfortunately for Liang, the presiding judge, Danny K. Chun, who will be pronouncing his sentence in April is also an Asian American. Whereas a white judge or a black judge might enjoy the independence to rule, based on the merits and circumstances, the Asian judge may feel compelled to levy a harsh sentence so that he can’t be accused of being soft on another Asian; in other words not being guilty of reverse racial prejudice. Photo of Akai Gurley and Brooklyn housing project where he was shot. According to the reports in the ethnic press, the basis for Liang’s conviction was that he should not have had his finger on the trigger. Without the finger on the trigger, his gun would not have discharged. He and his partner officer were in the dark stairwell of a notorious housing project and they did not know that Akai Gurley, an unarmed African American man, was on the stairs. Thanks to a compilation by the New York Times (fatal police encounters), there is a history of police shootings of unarmed black men in New York City and how these cases were disposed of could serve as a guide for Judge Chun as he weighs the circumstances in arriving at an appropriate sentence in Liang’s case. Teenager Nicholas Heyward, only 13, was holding a toy rifle when Officer Brian George fatally shot him. The Brooklyn district attorney did not even present the case to a grand jury because the toy gun was at fault for appearing overly authentic. Akai Gurley’s aunt speaks to a crowd outside the NYPD’s headquarters on Friday after the conviction of officer Peter Liang. Amadou Diallo was a 22-year old immigrant from Guinea, who was shot by four officers at his apartment building in Bronx. The officers thought he had a gun and fired 41 times at him. The four white officers were acquitted of 2nd degree murder and other charges. Patrick Dorismond then 26 was an unarmed black security guard shot dead by an undercover narcotics detective, Anthony Vasquez. The grand jury decided not to file criminal charges against the detective because the shooting was not intentional. Ousmane Zongo then 43 had the misfortune of looking very black and in the Chelsea warehouse when the police staged a raid trying to catch CD counterfeiters. He was shot and killed by a white officer who was convicted at the second trial and the judge sentenced him to probation on the grounds that he was poorly trained and supervised by the Police Department. Another teenager Timothy Stansbury, then 19, was in a hurry to attend a party and took a rooftop short cut. The white officer patrolling the roof shot him dead and the grand jury declined to indict the officer. He was suspended without pay for 30 days by the NYPD. Sean Bell then 23 sat in a car on his wedding day with two others. Five detectives fired 50 times into the car killing Bell. After a nonjury trial, the judge found the detectives not guilty of all charges. The most recent case that caught national attention was Eric Garner, then 43, who died in custody due to the chokehold the white officer used on him, a hold banned by the NYPD for more than 20 years. The grand jury declined to bring criminal charges against the officer. Garner’s death happened just four months before Gurley’s shooting. In every case, the victim was black and the officer was white. Even though the officers involved did not go to jail, the City of New York must have felt some responsibility and paid monetary compensation to all the victims’ family in the order of millions of dollars. If Judge Chun needs any precedents to guide his sentencing, the above-mentioned cases should offer plenty. Liang was inexperienced and poorly trained. He was scared and his gun went off by accident. Hitting Gurley was strictly unintentional. Action in the line of duty has never been a cause for criminal conviction — at least that has been the case for cops that weren’t of Asian ancestry. The judge has ample justification for sentencing Liang to probation, but will he? Unfortunately for Liang, tipping the other side of the scale of justice is the “Black Lives Matter” movement. This is a nationwide movement born out of an accumulation of white police brutality against young black men. The anger is directed against the white police forces in this country. As Frank Wu, former dean of Hastings Law School, pointed out in the Huffington Post, Asians along with Latinos and Blacks are on the same side of the racial divide not on opposite sides. The injustice is white vs. all the colored minorities. Liang is unlucky to become a cause celebre just when the emotional cauldron is at full boil.